The award is the fourth consecutive across marketing, media and women’s leadership categories for Greater Philadelphia Area-based marketing agency Simpatico Studios. Simpatico Studios, a B2B marketing agency and small business marketing agency, today announced it has been recognized as a 2019 Best Branding Agency by agency aggregator DesignRush. Simpatico Studios, a B2B marketing agency and small business marketing agency specializing in brand identity design, web design and development, and integrated marketing communications, today announced it has been recognized as a 2019 Best Branding Agency by agency aggregator DesignRush. Each year, DesignRush, a self-described “B2B marketplace,” vets marketing agencies and consultants globally in over 40 categories such as branding, web design, and marketing technology. Top-ranked agencies and consultants receive DesignRush’s “Best of” awards. In addition to its recognition as a 2019 Best Branding Agency, Simpatico was also named fourth in its state among Best Logo Design Companies, and fifth in its state among Best Graphic Design and Print Design Companies, out of hundreds of competitors in each respective category. “I’m proud of my team for earning the DesignRush recognition, and grateful to our clients all over the world who have enlisted us for our branding services,” Whiskeyman added. The DesignRush Best Branding Agency award is another accolade added to Simpatico’s trophy case, alongside the Women’s Leadership Award, Mid-Atlantic Region (CEOReport, 2018), Top Marketing Consultant (UpCity, 2017), and a Telly Award (2016). More information about Simpatico Studios and its full-service capabilities and offerings are available at http://www.SimpaticoStudios.com. In the years since, Simpatico Studios has scaled to a steady dozen roles—plus a formidable and skilled subcontractor network—and evolved from a digital agency into a full-service Integrated Marketing Communications (IMC) agency. Today, we proudly serve B2B clients of all sizes, and at virtually all stages, around the corner from our central Bucks County, Pennsylvania headquarters and around the world, as far as Eastern Europe and Singapore. Our founding partners remain at Mission Control, and have steered the studio to consecutive record-setting years. To learn more, please visit http://www.SimpaticoStudios.com. Founded in 2017 by Gabriel Shaoolian, a proven digital agency expert, DesignRush is your guide to finding the best professional agencies, categorized by their areas of expertise. 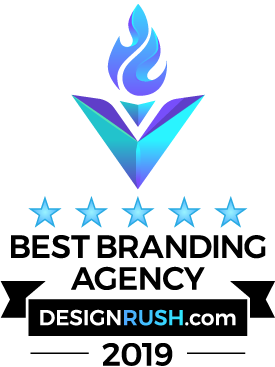 DesignRush analyzes and ranks hundreds of agencies to help brands find top full-service agencies, web design companies, digital marketing firms, and top technology companies. To learn more, please visit http://www.DesignRush.com.